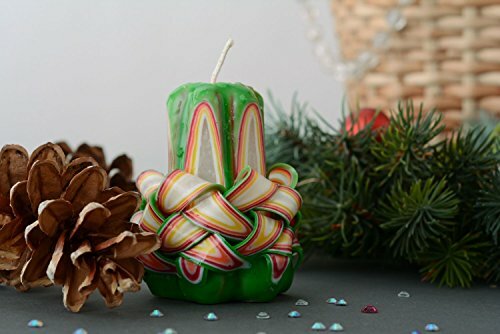 DETAILS - This handmade candle is made of paraffin or stearin. It is decorated with colorants and coated with varnish. The item is made in classic Christmas colors - green, red and white. Light it for Christmas or New Year eve and it will bring you a feeling of warmth.